Saturday was a good day - my husband brought me tea in bed then went out and got the shopping. I was still loafing around when he got back with the paper . . . and I was in it! 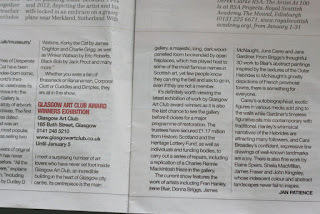 Like many glasgwegians, I am a long-term reader of the Herald and always read the visual arts section before anything else. 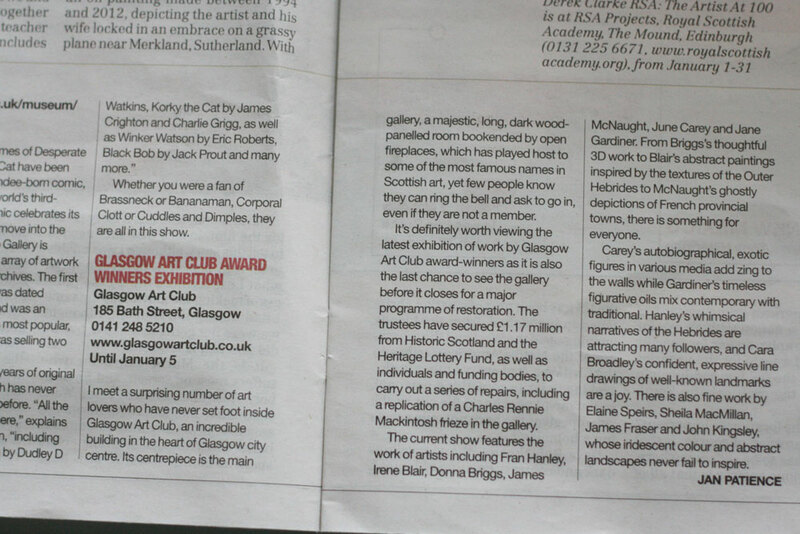 So I was delighted that Jan Patience has written a lovely wee article about our show. The bit about me reads "while Gardiner's timeless figurative oils mix contemporary with traditional." Not bad for my first press-cutting!